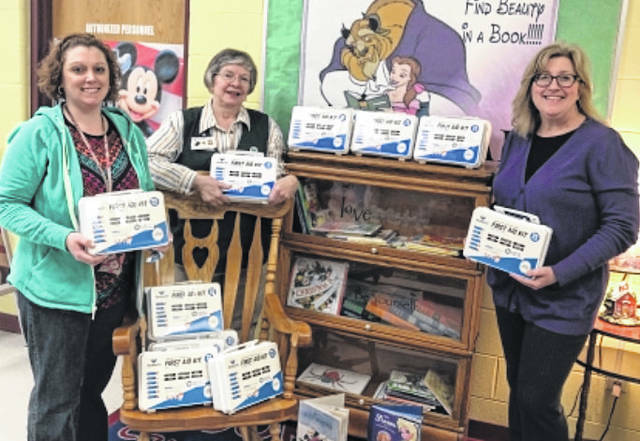 Pleasant Valley Hospital Auxiliary recently donated first aid kits to each classroom at Point Pleasant Primary School. The kits were fully stocked with the ability to serve 25 students. According to PPPS staff, their generosity is very much appreciated. Pictured with PVH Auxiliary representative Koneda Devrick is PPPS School Nurse Jill Fowler and Principal Vickie Workman.